I was very pleased to interview Thomas Kirschner CEO of ColorGATE to find out more about his vision and the recent success and growth of his company. For over 20 years, ColorGATE has been supporting the printing industry with its colour competence on its way from analogue to digital printing and the future of Print 4.0. Their customers rely on the innovative software solutions, RIP Software, and printer driver technology for Commercial and Industrial Printing. We are a Digital print workflow and Colour Management solutions company working in the commercial and industrial inkjet sectors. We currently employ 40 people and have our headquarters in Hannover, Germany with subsidiary offices in the UK, Italy, Singapore and China. We have over 600 sales partners and work closely with 90 OEMs. In the Industrial Printing market we seek to provide simple and flexible workflow and Colour Management solutions in a range of applications which include the key segments of Décor, Packaging, Textile and Ceramics. We also are seeing growth in other applications such as glass, plastic, product decoration, and even printing on Concrete. Where did your career start? Tell us a little about those beginnings..
Well, my career started with computer graphics and animation in the late 80s. I got involved with inkjet in 1993 when my company was contracted to present Large Format Printing (LFP)at CEBIT , where I showcased Colour inkjet plotters to produce graphic arts output. And it wasn’t long before I ran a distribution business to sell complete Wide Format Inkjet systems and supplies which later merged into Colormy. Soon I recognised the importance of integrated Colour Management in the developing digital print segment and met my partner Norbert Steinhauer with whom I started ColorGATE. This was the beginning of my career in digital colour management. The goal in 1997 and to a certain extent it still remains today to be able to offer RIP’s for the European digital wide format industry that gives you effective Colour Management and to implement ICC Colour Management standards. What’s your business mantra? You have built a business that is unique and successful, how do you create a sense of innovation in the business ? Our business mantra comes directly from needs of our customers. It is a vision that decides our core business values: Simplicity, productivity, Colour competence, cost efficiency and added value. This came in the beginning and remains the same today. And to be honest, it works because a lot of our customers are new to Inkjet. If you take the Industrial printing market , these guys are just beginning to use inkjet in an industrial application. They want workflow and Colour Management to be simple ! So we make it easy. Critical for our success in selling our products and maintaining our customer relationships, has to be consistency of standard, quality and colour. Its fine in commercial printing for direct mail to be different colours, but in industrial applications like tiles, flooring or packaging every one of a batch has to have colour match. So I see ColorGATE as a “Knowledge company” – we are experienced in Digital Colour Management since we grew as Digital grew – we develop our products in realtime to reflect the needs and changes of our market. We have learnt as the industry has grown, constantly re-evaluating our products and adapting them. As Darwin said ‘its not the biggest or strongest who survive, it is the ones who are able to adapt ‘. As a smaller company led by entrepreneurial team we are able to be pragmatic – we are often with our customers, constantly talking and listening to them. And we make sure we look both upstream and downstream for solutions. Tell me more about the development of your products and what are unique about them ? We develop solutions for Machine manufacturers and OEMS. Our core product PRODUCTIONSERVER is a modular , RIP and Colour Mmanagement software. 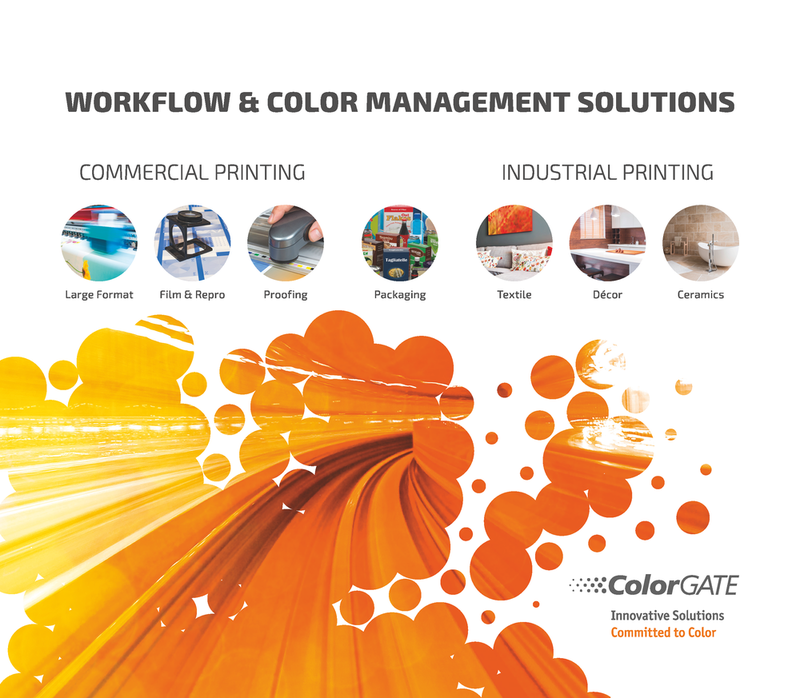 The new application-specific Industrial Productionserver solutions are based on ColorGATE expertise in Colour Mmanagement and the intelligent control of printing systems for many different applications. They combine top performance in quality, productivity and automation and deliver - due to the Productionserver architecture with proven UI-concept - high clarity, coupled with modular available functionality for detailed requirements. When we consider the drive for automation in industrial production then seemless Colour inspection is crucial. Our aim is to avoid halting production . I see the future of Colour Mmanagement being the integration of inline Colour Mmanagement inspection. Everything we do aims to improve the quality and experience of the customer. How do you see Print in the future ? Well as I mentioned already everything is heading towards full automation – Industryie 4.0. Looking at the way Amazon is taking control of retail and damaging the high street and retail shopping centres, I think ‘Automation’ will impact on print. I am watching to see whether It will just be the ‘big boys’ who survive? And for us we want to be able to offer them total online colour control throughout the automated process. And if the market changes then we will be there. We know that it is ‘just pixels’ whatever the market, whatever the application? But it always matters. What new products are you working on ? I can tell you about our 3-D capturing and developing product developed with Metis. We have created this to address the growing interest of businesses that are demanding industrial grade solutions for digital surface creation ColorGATE is announcing a new collaboration with Italian high-tech scanner manufacturer Metis Systems srl with the scope to offer aligned solutions from image and surface acquisition to output rendition for digital inkjet printing solutions. We are excited to collaborate with Metis a leader in their field that shares a similar business philosophy as we do which puts the customer’s objectives results in the centre of the activities. 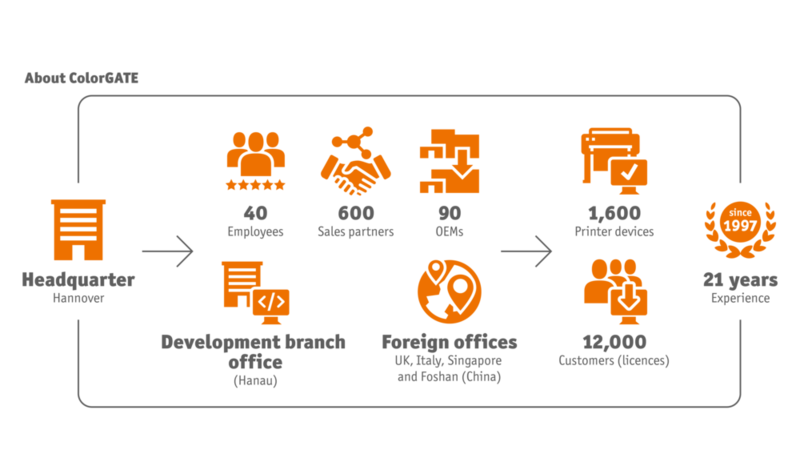 Jointly we can now close the gap between digital Input and Output and provide workflows that produce the expected. In addition to this offering for industrial digital surface decoration ColorGATE launches a complete solution targeting designers and manufacturers of small run and lower volume surface products that want to digitally produce this on commonly available UV flatbed or hybrid printers from printer manufacturers such as Fujifilm, HP Scitex, Inca Digital, Mimaki, Mutoh, Océ, Ricoh, Roland, SwissQPrint etc. The new solution makes it possible, for example, to capture natural surface objects such as weathered woods or leather including color, glossiness and surface depth information and to transform those in a new combination to produce exquisite veneers for furniture, tactile phone cases or any other decorative surface.